If you are a regular reader of my blog, then you know I work in a variety of industries and with many different companies in those industries. At first, when new companies are going to engage with me, some will ask what kind of experience I have in their specific vertical. My answer is always the same: sales skills and best practice selling techniques are transferrable. Core inside sales skills and strategies work in all industries (that is why they are foundational) and can be adapted to work effectively in other industry. Let me ask you this: If you just met with a really hot prospect, how long would you wait to follow up with them? A day? A couple of days? A week? My wife and I are selling our home and have begun interviewing real estate agents to represent us. I got a couple of referrals from good friends in our neighborhood, and then I reached out with an email telling them that I’m ready to list my home and want to meet. I think I’d call that a hot lead, wouldn’t you? So Tuesday night we meet the first agents – a husband and wife team – a very nice couple who have been selling real estate in our neighborhood (“South of the Boulevard”) and claim to be the Number One agents in this area (It’s odd that the other two agents we meet with also claim to be the Number One agents as well, but that’s a discussion for another article). We spend a nice couple of hours together, really like them, like their recent experience and success on the next block and also love their strategy. We tell them that we’re meeting with another agent referral the next night but that we will get back with them the following day. O.K., so now comes the test. When would you, if you were them, get back with me? The right answer is 9AM the next morning. If I were them, I would have sent a quick email saying it was so nice meeting me, that I enjoyed and really liked the house and that I was confident that I could sell the home using the strategy I outlined. I’d say if there was anything I could do, just reach out to me, and that I look forward to speaking with them (me) very soon. No brainer, right? Well, here’s what happened: Because I’m a Top 20% closer, it was ME that sent them an email thanking them for their time and how nice it was to meet THEM! I sent it at 9AM and hadn’t heard back from them by NOON that afternoon! How do you think that made me feel in terms of how they would represent me? O.K. So the next night we had the other agents over – a team of two “Number One” selling agents in our area (they really used that term as well!). We really liked their pitch also and were impressed by what they wanted to list our house for. In fact, when they left, we were leaning towards hiring them! How long do you think it took for them to follow up with us? We’re still waiting to hear from them two days later! I’m still stunned because as we told them we’d have a definite answer by the next morning. Did we get a follow up email? No. Did we get a follow up phone call? No. Now two days have gone by and have we heard from them?? NO!! YIKES! What’s wrong with these sales people?? In the meantime, the first couple emailed us the next day wondering what happened with our other meeting and expressed their strong desire to work with us. We then spoke on the phone and negotiated a bit. Now they are coming over tonight to pitch us some more. They’ve redeemed themselves a bit and will probably get our business. By the way – the other team? We still haven’t heard from them, and I’m thinking I never will. And that’s too bad for them because when we woke up the next morning, we were completely on the fence, and we decided that whoever got back to us first would probably win our business. We figured we’d wait and see who was more of a go-getter, and who would be more aggressive overall and that this would (hopefully) translate into who would be more aggressive in selling our home. So here’s the lesson for all you sales reps and business owners out there – Don’t wait days or weeks to follow up prospects! Especially the hot ones or the ones you’ve either met with or spent quality time with over the phone. A simple email that thanks them for their time, acknowledges how much you learned and how excited you are to help them will go A LONG WAY to earning you their business. Especially since not many others have this kind of urgency. By the way, I usually send a quick email right away when I get off the phone with a prospect and include something of value in the email – a white paper, an article – something that will help them and also help them think about me. In today’s inside sales environment, customer service reps wear many hats. 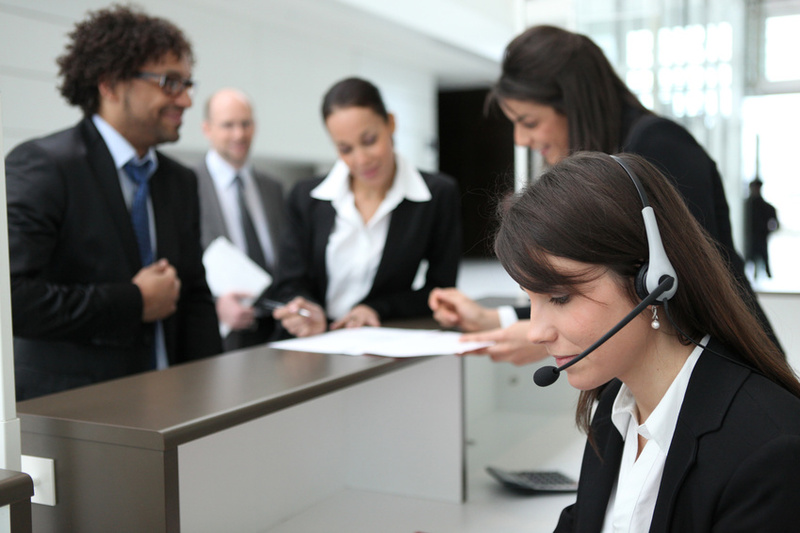 Often a blend between pure customer service, where reps take inbound calls from existing and potential customers, to an order taking role where those same reps also take inbound customer orders, all the way to being tasked with proactive up-selling or prospecting into existing accounts, today’s customer service reps have to be adept at handling a number of customer interactions. Across these varying job descriptions, one thing remains constant: giving customers an outstanding experience. But how do we get them to do this? While training is crucial to the development of a customer service team, and to the overall experience a customer service rep delivers, the majority of conventional training falls short. Most customer service training is ‘top end’ heavy and focused on product education and services training, often neglecting the fundamentals of the customer interface experience. Companies tend to take for granted that reps should know intuitively how to make the customer feel welcomed and cared for, but, as many of us know who have had to call in to our cell phone company or cable TV company, these fundamental, common sense courtesies are anything but common sense intuitive skills. Customer Service is defined as how well a company is able to consistently exceed the needs of the customer. •	“Is able to” = Customer Service is a set of skills that can be learned. •	“Consistently” – Great Customer Service means doing it all the time (Not just when you feel like it). •	“Exceeds the needs” – Wowing the customer, not just giving them satisfaction. •	“The customer” – Great Customer Service treats the customer as an individual, rather than as a group or company. In addition to fundamental training, follow up mentoring, coaching and measuring adherence to a set of best practices are also essential for the development, integration and delivery of a ‘GREAT’ customer service experience. Think about where you consistently receive GREAT customer service. How about a high end department store like Nordstrom? Or a luxury hotel like the Ritz Carlton chain. How about your local retail shop, coffee shop or favorite restaurant? If you were to choose one word to describe what makes these experiences great, wouldn’t it be consistency of experience? All customers have a baseline expectation they expect to be fulfilled on every interaction with your company. 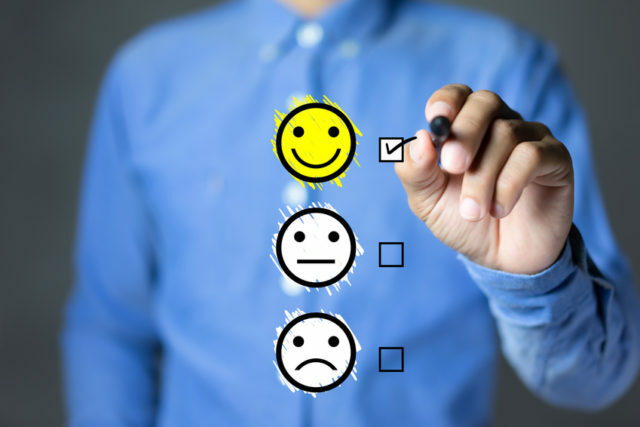 Consistency of a positive experience creates feelings of predictability, trust and feelings of security (your customers know you’ll be there for them and that they will be taken care of). The more consistently you’re able to meet and exceed your customer’s expectations, the more they will want to do business with you and recommend you. Consistency of experience is the first Step to GREAT customer service. 2: A customer service rep who is warm & friendly and willing to help you and will find the answers you need? As customers, we would rather speak to a friendly, helpful customer service rep whose attitude is: “Would you mind holding a moment while I find the right person for you to speak with?” rather than with a rep whose tone is unfriendly or disinterested. In customer service: Attitude trumps knowledge. Secret #3: It’s O.K. to make the occasional mistake or not have all the answers. Too many customer service reps feel like they have to have all the answers and are afraid to make the occasional mistake. And when they do make a mistake, they tend to defend or deny they were wrong. Both are incorrect. Admit it. Denying it only makes it worse…. Offer to try to help them again or to re-do what just went wrong. A big part of a customer service rep’s job is to handle customers who are having a problem. From a company stand point, the key to dealing with these customers successfully is to prevent a customer who is having a problem from becoming a problem customer. The key to preventing problems from escalating? In a word: Be proactive. “That’s something I can take care of for you. How do you feel when someone lets you in the lane in front of them in traffic? Or how about when someone holds the door open for you at the market, or lets you in front of them when you have just a few items? Probably pretty good. And that’s how every customer service experience should make you feel as well. Being courteous and polite are the most important tools to becoming a great customer service rep! And the Key to using them effectively is Consistently! How would your customers describe their experiences with your customer service team today? As we mentioned at the beginning of this white paper, great customer service is a culmination of a set of skills that can be learned and measured. It starts with the proper training of these fundamental skills and then coaching their use on a consistent basis. The good news is that once these skills are internalized and become habits, these habits will then take over and the result will be the kind of consistent customer experience our customers expect and deserve. Three Customer Service Secrets – True or False? I’ll bet you can add some of your own words to that list, but the end result would probably be more negative ones than positive. In the training we conduct with companies who provide customer service as part or all of their primary function, we often start with a quiz to uncover some of the truths about customer service. What we are attempting to discover is why such a seemingly simple service – what is so hard about asking, “How can we help you today?” – is so difficult to consistently deliver. Answer: False. Good customer service isn’t as much about personality as it is about learning and consistently using a set of proven skills. Anyone who wants to get better at consistently meeting and exceeding the needs of customers can learn and then apply – consistently – a set of skills that includes the proper opening, middle and ending of a customer service call. The problem isn’t that there aren’t enough people with the right personality out there, it’s that most of the customer service reps operating today haven’t been given the right training, nor the right follow up coaching, to be consistently good at consistently exceeding the needs of their customers. True or False: Customer services reps with the most product and service training will result in the best customer experience. Answer: False. Companies spend hundreds of thousands of dollars on product and service training hoping to put the most educated customer service reps on the other ends of the phones for their customers. The sad truth is that this doesn’t always translate into a positive or entirely satisfied experience for the customer. We have all had an experience where the attitude and tone of the customer service rep over powered the knowledge or help they were able to offer, and we also have had the opposite experience of dealing with a pleasant or eager to help customer service rep who had to find the help or answers we needed. Which would you rather deal with? While product or service training seems more direct and measurable, basic customer service skill training is just as – if not more – important for the overall customer experience. Answer: True AND False! Let’s face it – good help is still hard to find. Finding good people to hire can be a time consuming and difficult process. The saying “It’s a numbers game,” is an accurate way to describe this process. There are a number of variables that come into play in finding good candidates including your location (city, part of the country, etc. ), your company and pay scale, the available talent pool of candidates, etc. While it is true that finding these candidates is sometimes hard to do, training them doesn’t have to be. If you or your company are interested in learning the kind of skills that enable your customer service reps to consistently give GREAT customer service, then visit our website: www.MrInsideSales.com, or call us at: (818) 999-0869. We look forward to helping you soon!